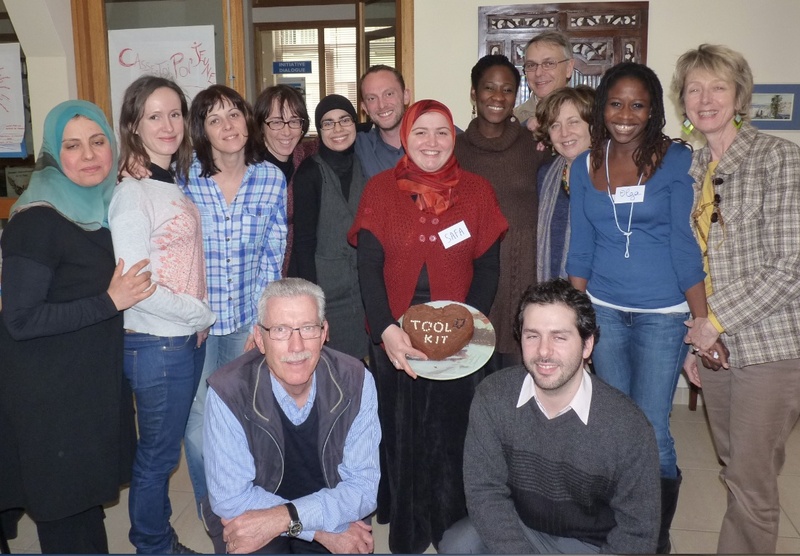 IMPLEMENT: A diverse volunteer team from Initiative Dialogue in Paris organised a workshop with their members and colleagues from its partner organisations on 23-24 March. Fifteen of them came, who currently conduct “dialogue spaces” addressing diversity issues in four areas of the greater Paris region. Their leader had requested that the INGO Dialogue Toolkit content be added to their existing capacities. Accordingly, the workshop materials got prepared in French. The President of the Council of Europe INGO Conference came to speak to them; setting the scene institutionally and outlining what INGOs can do in Europe. REPORT 2012: The Dialogue Toolkit got published and printed in English and French, and the Russian translation and initial layout tests are made. The dialoguetoolkit.net website was built. With this the visibility of the INGO Dialogue concept is sustainably achieved. To illustrate this a few Internet search words are placed in the table below, with the figures of search results at the time of the website launch and the time of writing this report. The Project Aims have been reached and have partly exceeded the initial targets. This was possible because some budget items turned out to be cheaper, hence making other items possible that were only “wait-listed” at the time of the project submission a year ago. The 2012 project segment worth just under CHF 28’000.00 closed at CHF 49.04 below the budget. NEXT: The Dialogue Hub will take opportunities to keep up the visibility of the INGO Dialogue approach as a way to promote a culture of participation in societies. It is grateful for the support received last year and expects further implementing activities to be self-sustainable, as was the case with the activity in Paris. It welcomes ideas / invitations to conduct dialogues in situations where they are needed.